When it comes to flooring options, you can never go wrong with concrete. Known for its durability, longevity, and strength, concrete floors are bound to serve you a lifetime. However, too much foot traffic, changing temperatures, and years of usage can cause the concrete to crack and crumble. The cracks not only look unpleasant, they actually allow the moisture and harmful elements to do deeper damage to the floor. That can result in weakened structure. 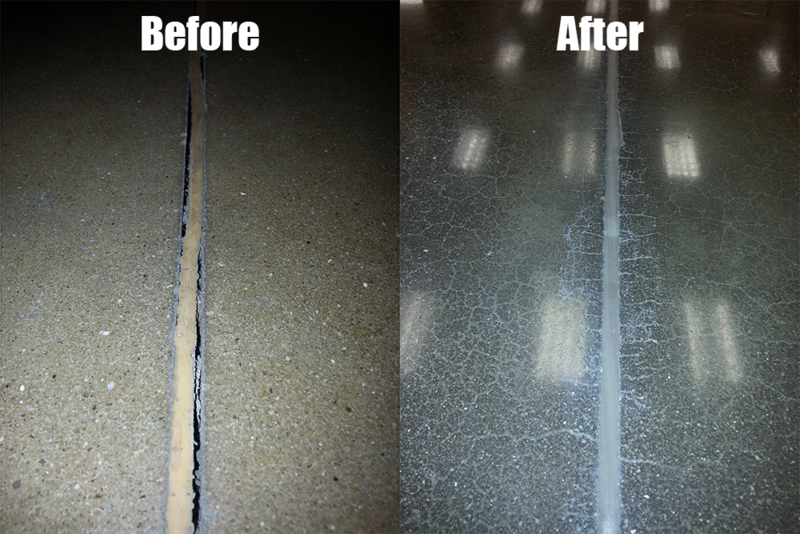 At Flawless Grind & Polish Flooring, we help you repair the cracks before they can cause such nuisance. We help you take care of wears and tears with the help of professionals with experience and expertise. Our team knows how to analyze and assess the damage in order to provide the right concrete repair solution for your needs. We provide services in Atlanta metro area, all Georgia and neighboring states. Not all cracks and damages are the same. Therefore, the way we repair the damage varies in every case. Some of the common concrete repair services we provide include. Concrete Cracks – We choose the most appropriate way to repair concrete cracks based on how wide and deep they are. While narrow cracks can be filled easily without any special equipment, bigger cracks require expertise and technology only a professional can offer. Damaged Edges – One of the most common forms of concrete damage is broken edges of steps and walks. These edges can be quite risky and dangerous as well. We help you repair the damage before it causes further pain. Broken Corners – Just like edges, the corners of steps or walks are also prone to crumbling. More or less, a similar repair technique is used to restore the corners back to their original form. Damaged Slabs – Repairing huge concrete slabs is a tricky job that requires the damage area to be properly removed. Paint Spills – Concrete can absorb the paint making the spot almost impossible to clean. A little professional help and you can have the concrete clear as new. Porches, stairs, sidewalks, and driveways, we know exactly how to fix the concrete back to its original condition. If you have chosen concrete for its quality and reliability, chose a concrete repair service that reflects the same qualities. At FLAWLESS, we take pride in being one of the most trusted names in Atlanta area. With a team of trained and experienced professional, we use the most high tech and safest technology to help you restore the condition of the concrete.